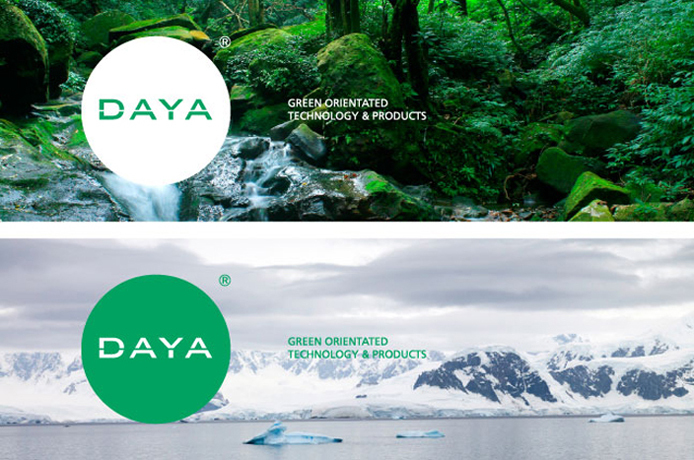 DAYA is an Italian producer of environmentally friendly products and technology. 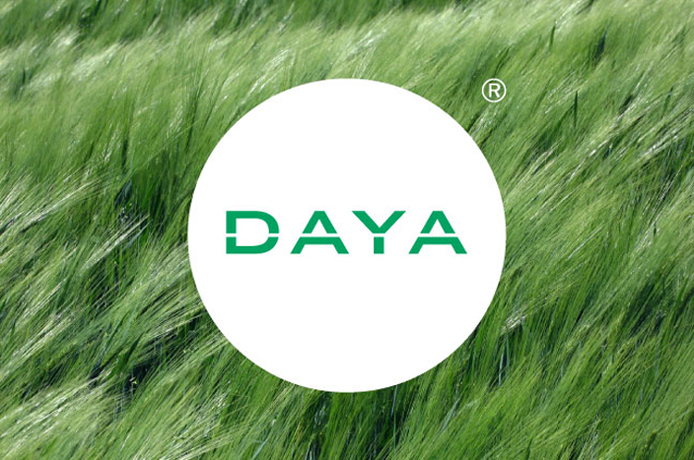 To coincide with the launch of new line of products DAYA wanted to take their existing blue logotype and reinvent it in a framework that better reflects the company’s credentials as a producer of ‘green-orientated’ products. The solution was to give the identity a new colour scheme and to use photography that focuses on the environment rather than the products themselves. 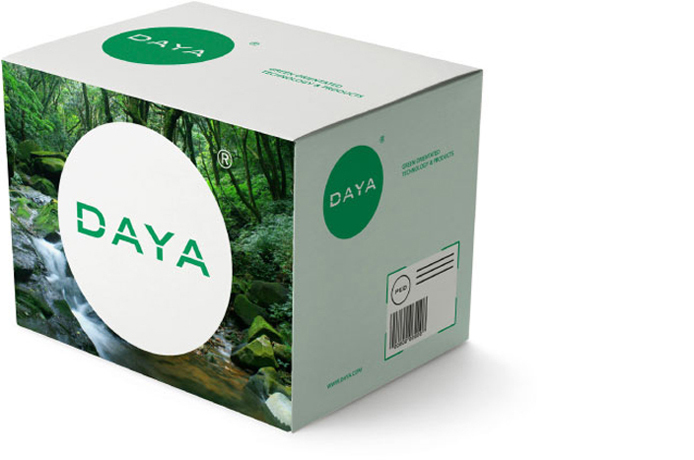 The new design attempts to bring Daya towards being a globally-concerned company by placing the logotype in a globe itself where the horizontal partition becomes an equatorial line.